AMPLIFY YOUR BUSINESS WITH CHICAGO AGENT MAGAZINE. 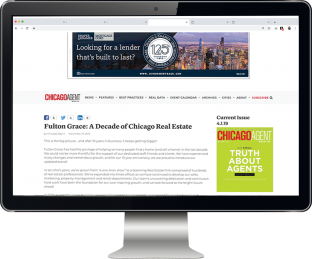 Our premium content solutions allow your brand to take advantage of Chicago Agent magazine's reach through branded journalism, interviews, profiles, great listing photos, and lead generation opportunities. 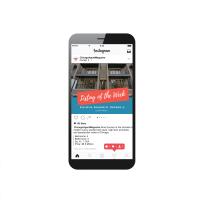 Engage with our audience in new and effective ways. This includes promotion across all Agent Publishing markets. Demonstrate thought leadership while generating leads with white papers published and promoted by Chicago Agent magazine. This includes promotion across all Agent Publishing markets. 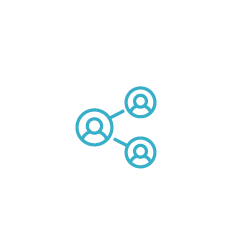 Engage with our audience while generating leads with a customized webinar. You supply the topic and the panelists, and we will promote and host the webinar, offering industry and content expertise. 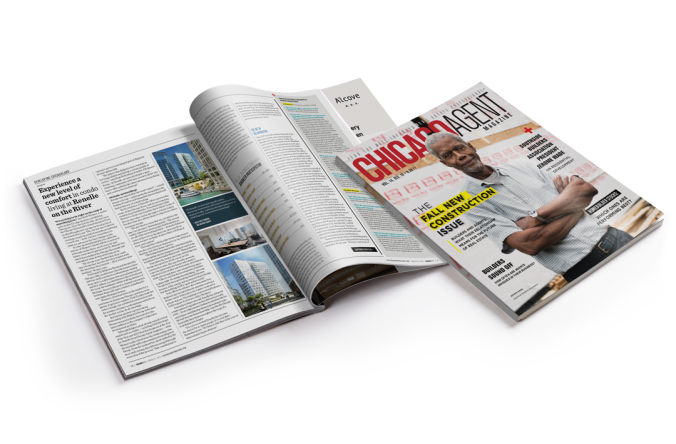 A multichannel feature, including a full-page article in Chicago Agent magazine that showcases a new development, with full-color photos and information on its special amenities, affordability or luxury features, community impact and more. Present your real estate tech solution, CRM software, mobile apps, data analytics platforms and more — and share how and why agents use it to grow their business. Share your real estate success story, including noteworthy career experiences and accomplishments, and what inspires you to create a positive industry impact. contact Anne Hartnett 773.296.6001 or anne@agentpublishing.com.